The first step toward shiny houseplant leaves is to ensure that the plants are healthy, well-groomed and clean. Just like all surfaces in the house, leaves gather dust as well. 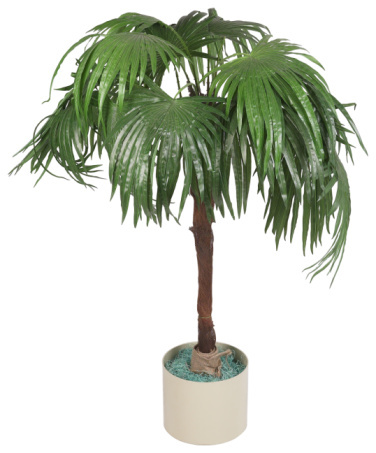 Plants also filter dust with their transpiration process from the air. If dust is removed from plant leaves regularly, it not only helps to ensure their sheen but improves their natural transpiration and photosynthesis process. Avoid using commercial leaf-shine products because they can do more harm than good. 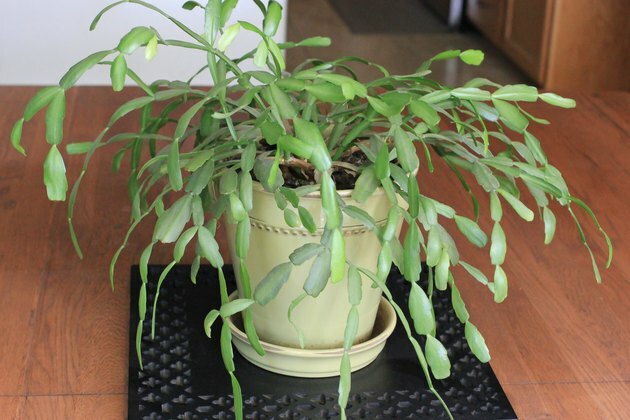 There are a number of natural easy ways to shine houseplant leaves. 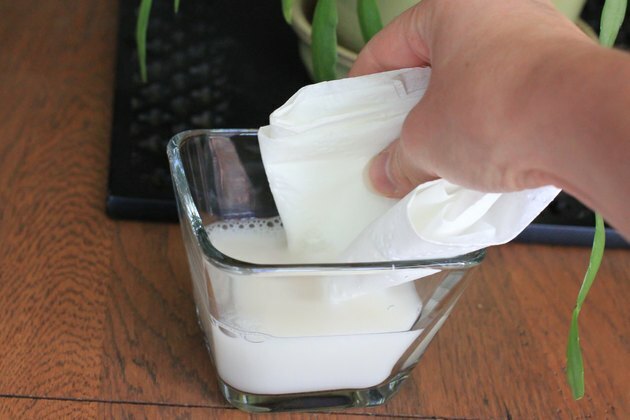 Mix together equal parts of milk and water, and use the mixture to wipe plant leaves. This is highly effective in enhancing the natural shine of plant leaves. Make a wash with a mild soap mixed in water. 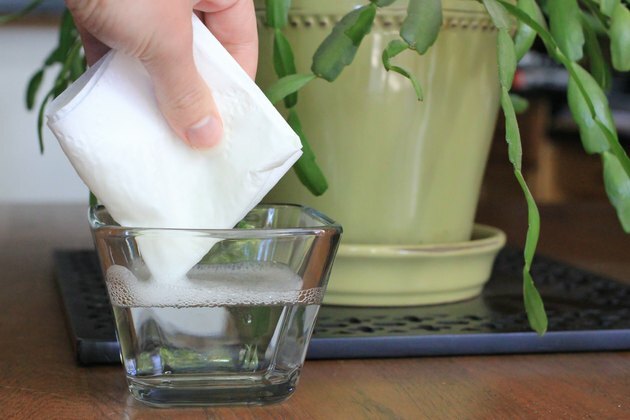 Dampen a cloth or tissue in soap water, and clean the plants. Make sure you are only wiping the leaves gently and not scrubbing them. 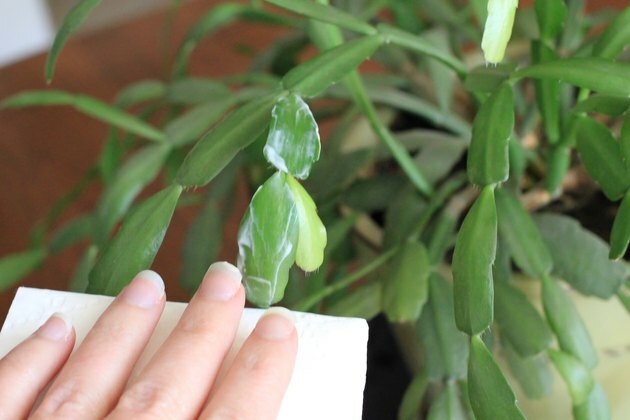 Using a paper towel, rub mayonnaise gently on houseplant leaves to get a glossy sheen. This also keeps dust from settling on the leaves. 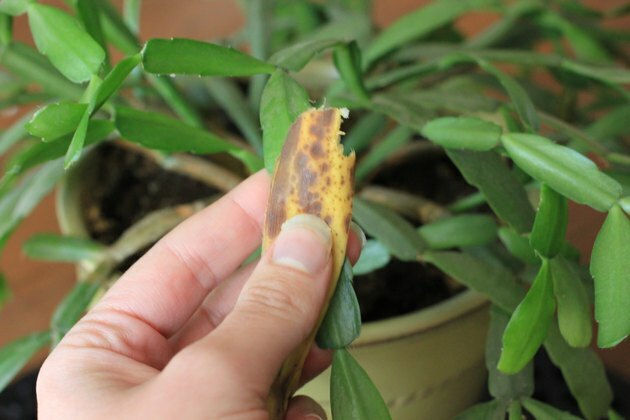 Using banana peels is an organic way to shine houseplant leaves. Take a banana peel and using the softer inner part rub the surface of the leaves. The natural oils in the peel will shine the leaves and will provide a fragrance in the house. Use peels once a week or whenever plants are looking drab. 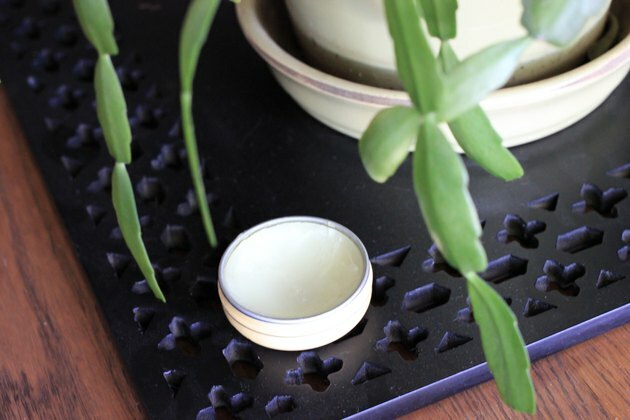 Commercial waxes for shining plant leaves should be avoided because they only clog the leaf pores. This makes it impossible for plants to release moisture or exchange gases.